Running numbers: 9400 - 9499, 8400 - 8499, 3400 - 3409. 1955-56 (3400 - 3409 produced by Yorkshire Engine Co.) to lot number 387. The '9400' class were the tank version of the Collett '2251' tender engine. As can be seen the first ten locomotives were built at Swindon and these engines represented the last locomotives built by the Great Western. 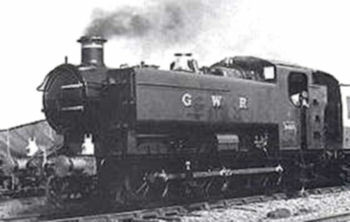 The design of the class was unusual in that they were one of the few pannier tank designs with taper boilers although superheating was fitted to 9400 to 9409 only. The engines were mostly used for heavy shunting and short distance freight and passenger duties, but numbers 8400 to 8406 were employed on the former L.M.S. system at Bromsgrove giving banking assistance on the Lickey Incline. With the onset of dieselisation, the working life of the class was very short and from a class of 210, just 78 were still in use in January 1964. By the end of June 1965, the last members of the class were withdrawn with some engines being cut up when they were barely 5 years old. Two members of the class have been saved and they are numbers 9400 and 9466.